With 23,000 homicides in 2016, Mexico ranked as the second deadliest country in the world, the International Institute for Strategic Studies (IISS) revealed in their Armed Conflict Survey. This assessment of violence in the region is based on more than numbers, although the 39,000 people killed in Mexico, Honduras, Guatemala and El Salvador in 2016 indicate a security crisis much more complex and serious than most other countries in the region. Mexico’s 2016 intentional homicide total, 23,000, is second only to Syria. In all four countries, armed forces have been deployed for many years specifically to fight criminal gangs and, in the case of Mexico, transnational drug-trafficking cartels, with military-grade weapons and vast financial resources. In all four countries, criminal groups have ambitious territorial claims: they fight amongst themselves and use arms to challenge the state directly for local control. Unlike traditional political conflicts, these criminal conflicts are fought to establish autonomous territories, not to pursue national politico-ideological goals. As the Armed Conflict Survey shows, intentional homicides jumped by 22.8% from 2015 to 2016. Violence continues to increase. The first two months of 2017 were the most violent January and February on record, with 3,779 homicide cases registered by the authorities. The following month was even worse: March 2017 saw 2,020 murders. This was the highest monthly tally since June 2011, a bloody moment in the midst of Mexico’s ‘war on drugs’. In December 2006, President Felipe Calderon deployed the armed forces to the streets with the mission of crushing the cartels. But the resulting conflict brought misery to Mexico: 105,000 people lost their lives in intentional homicides between that month and November 2012. Compounding the drug war is the corruption within the Mexican government. The organization that has the largest influence is the Sinaloa Cartel, which the U.S. Department of Justice (DOJ) identifies as the largest and most prolific in the world. Court documents filed by the DOJ against Mexican drug kingpin Joaquin “El Chapo” Guzman, the leader of the Sinaloa Cartel, state that corrupting government officials was the cornerstone of the cartel’s success, Breitbart Texas reported. 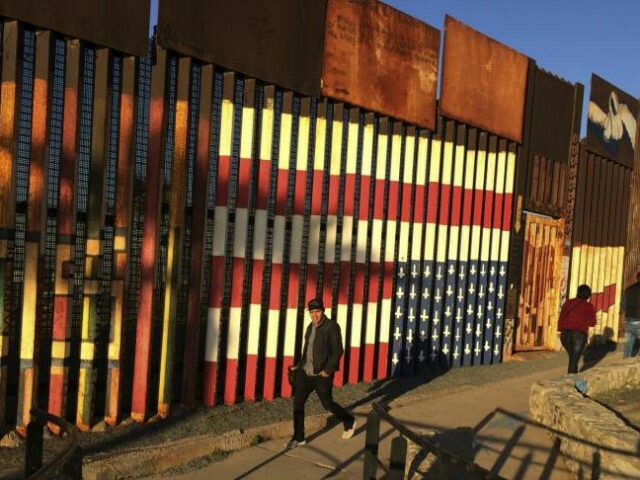 Despite the risk that Mexican drug cartels pose to the national security of U.S., many Democratic politicians, and even some Republican politicians are opposed to building walls along the U.S.-Mexico Border.